Do you struggle with finding ​suitable people into your network marketing business? Do you find it mind-boggling why people who ​claim that they will crush this industry ​“died” after they enrolled? Well, the truth is, not everyone is the right match for this industry. That is why it is important to learn to find the right people, and work with the few who are serious and ​equipped to do this well. To find business builders, I knew I had to focus my search, and LinkedIn became the obvious choice. This is the platform where all professionals congregate. Everyone is here open to opportunities, and everyone is here looking for avenues of growth and progress. There is no better ground. 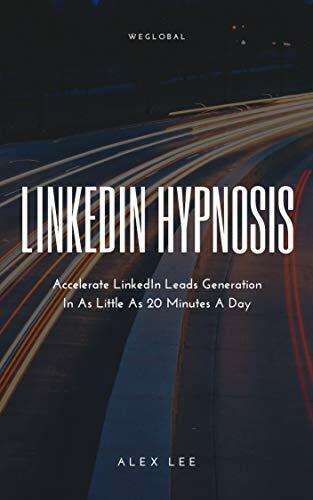 This book shall cover the following concepts in introducing LinkedIn as the preferred platform for prospecting network marketers. Chapter 1. Why are you still unknown? – This chapter focuses on building a personal brand, with specific instructions on building a LinkedIn profile. Chapter 2. Learn to be a sniper. – Don’t go round prospecting everyone. Be clear in your target audience and go in for the kill. Be precise. Chapter 3. Be the icon. – Establish your reputation as the guru in the field, as the go-to resource for all things related to your industry and for who your personal brand stands for. Chapter 4. Lead the pack.- To be a leader, one must lead the pack. Exercise attraction marketing and get people to follow you willingly. Chapter 5. The no-nonsense daily action plan. – Only action gets results. Follow this plan to the dot to build your LinkedIn momentum. Chapter 6. Become the attraction. – To lead, you need to attract. To attract, you must possess the confidence and ability to influence. This chapter holds the key to it all. Chapter 7. How LinkedIn can simplify your searches. – Leverage paid advertising to reach the exact audience you want.